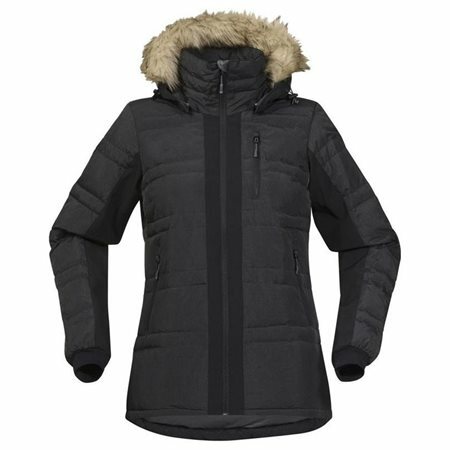 Warm hybrid jacket that combines the breathability of softshell material with the unique insulating properties of down. Bodo is part of Bergans lifestyle and travel range, which consists of smart everyday garments offering the protective properties of technical clothing. Water and wind repellent down jacket. Softshell panels along the front zipper and on part of the sleeves. Detachable, adjustable hood with detachable artificial fur trim. High collar. Elastic sleeve cuffs. One-hand elastic drawstring at hem.